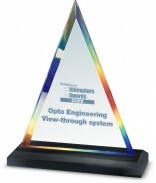 Opto Engineering – THE TELECENTRIC COMPANY ® – is pleased to announce that its View-through system was recognized among the best in the industry by the judges of the Vision Systems Design 2015 Innovators Awards program. The judging panel consisted of esteemed experts from system integrator and end-user companies. 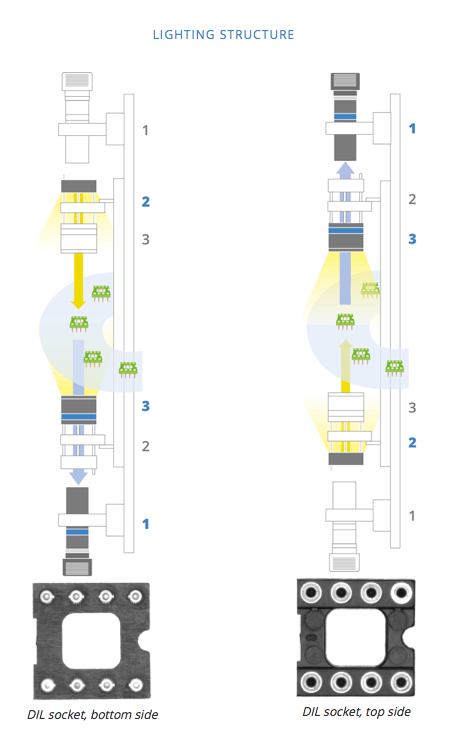 View-through is a space-saving illumination system designed to create very compact inline inspection solutions that illuminate both sides of fast-moving objects. It is especially useful for the identification of surface defects/features in systems processing parts at more than 10 pcs/s, ensuring perfectly focused images in applications spanning from automotive to pharmaceutical. Complete timing management of the system is additionally available using LTDV6CH strobe controller.